In recent years, jailbreaks have followed the release of a major new firmware quite quickly but, with iOS 10, we seem to have gone backward. Despite it being released a couple of months ago, we are still waiting for the jailbreak to be released and we can only hold on to hope that Taig or Pangu will be able to produce one soon. 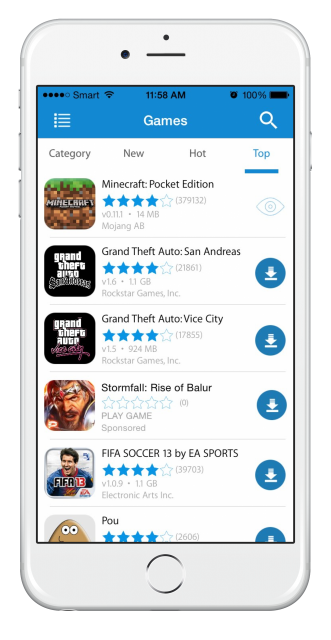 The lack of a jailbreak also means that those who updated to iOS 10 have lost the chance to download their favorite paid games and apps for free, something they used to do with apps like vShare and Extensify through Cydia. There is a way though, and it’s called HipStore, an app installer that works in much the same way as the Cydia app installers with one exception, you don’t need to jailbreak to install it and that means anyone can use it, including those wh0 don’t want to jailbreak but still want some of the benefits. You cannot get HipStore from the app store so you will need to follow our tutorial below to get it onto your device. With HipStore, you get more features than you could possibly imagine, with no need to install Cydia first. HipStore app can be installed on any iOS device and most Android devices too. Using it is much the same as the official app store – find your app or game and tap to install. The difference is, you don’t need to pay for anything in Hipstore. For Android users, the APK file needs to be downloaded first for users to gain access to all the apps and games. Let us know how you get on with HipStore. Is it something you would use as an interim measure? If you don’t like it have any trouble with it, you can follow the instructions to download HipStore at the given link. For more tips and tutorial like this one, follow us on Facebook.